retrogameart.com: Takin' a Walk on the Ad Side..Ephemera. ET AL! Takin' a Walk on the Ad Side..Ephemera. ET AL! EPHEMERA: Ads, Store Posters, In Game Posters, Point of Purchase Displays and the like! As you might suspect, being as heavily involved in the box art side of the game industry as I was gave me a shot at doing art for other elemental aspects of these companies getting their games in front of you gamers. There were all sorts of giveaways, contests, advertisements, and perhaps most enjoyed by buyers were the large format fold out posters that were included on board the game packaging. There were also Ads that went into gaming magazines of the day. There were Magazine covers as well. 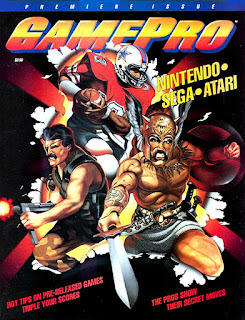 I did the premiere cover for GamePro magazine, eventually doing 3 of the first four covers, and six total. 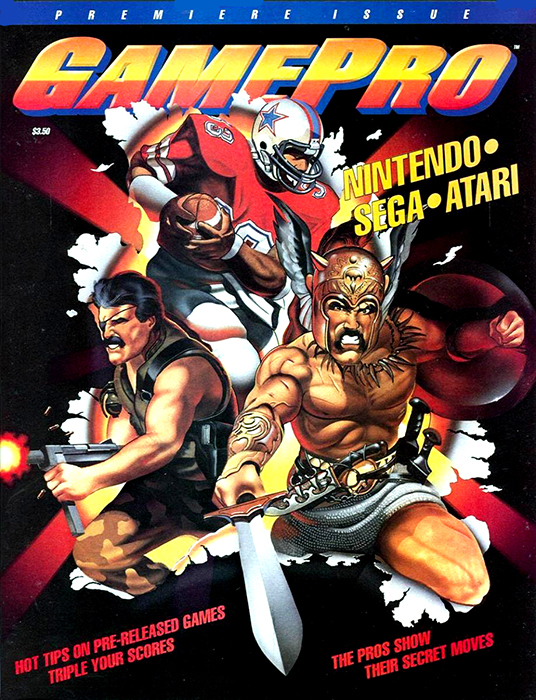 My first game mag cover: First issue of GamePro! Not Marc's art, But not bad! How many of you had MY posters hanging on your bedroom walls before you graduated TO BAY WATCH? 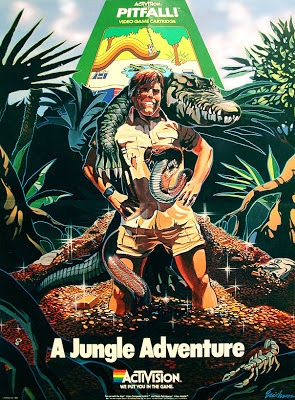 Many of the games I was associated with had very nice sized posters of the cover art inside. That was one of the reasons so many of us worked our paintings at such a large format size, often going to 30" x 40" on our pieces. 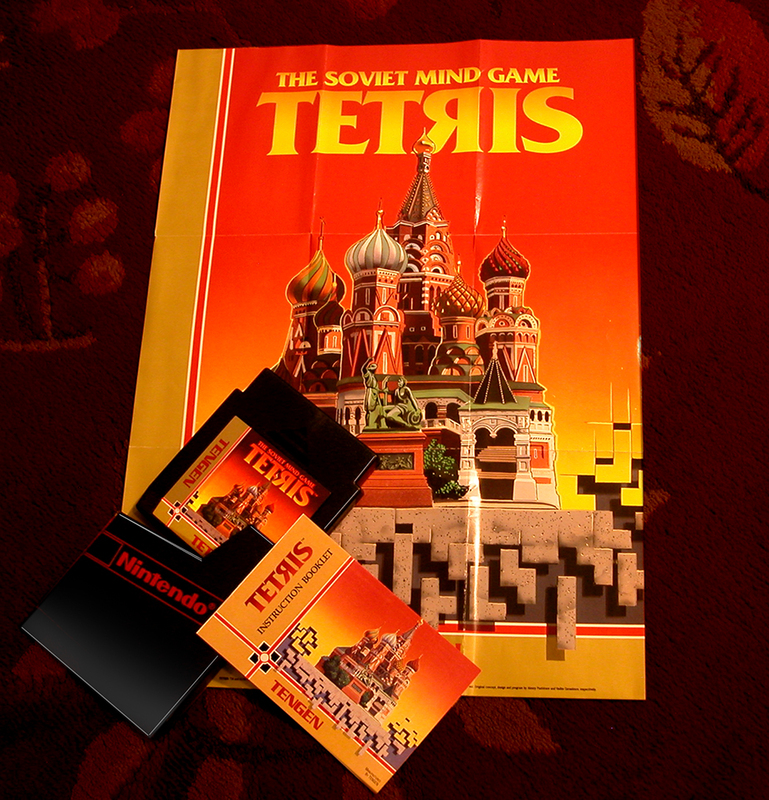 I did this Tetris art large to allow for the poster sizing. The Tetris poster was one of my favorites, and the reason I coughed up 79 bucks on Ebay to a seller offering the classic Tengen Tetris game cartridge, slide pocket, instruction Manual and very pristine folded poster, (but alas, no box!) I jumped at it and was VERY pleased with the purchase. The poster felt like it was being opened for the first time in 24 years! 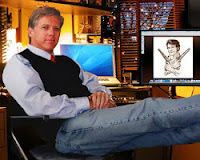 My neighbor Jim Breuner, an ex Richmond cop, posed as Harry! 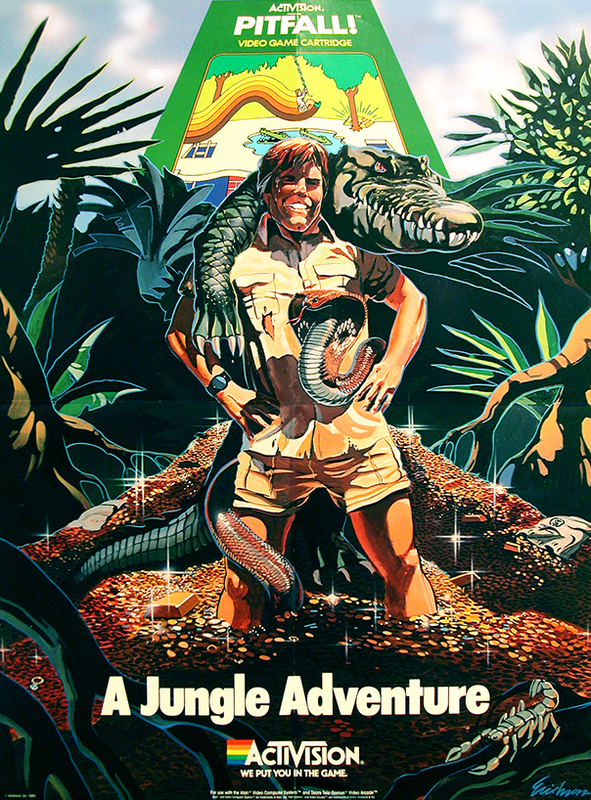 These two posters featuring Activision's intrepid Pitfall Harry, with a full grown croc over his shoulder, and a friendly Cobra between his legs, and CAPCOP's heroic Captain Commando, with an inscrutable alien sidekick on his shoulder, featured my takes on the environments the games played through: Interstellar forward operating base, and steaming gold laden jungle swamp. 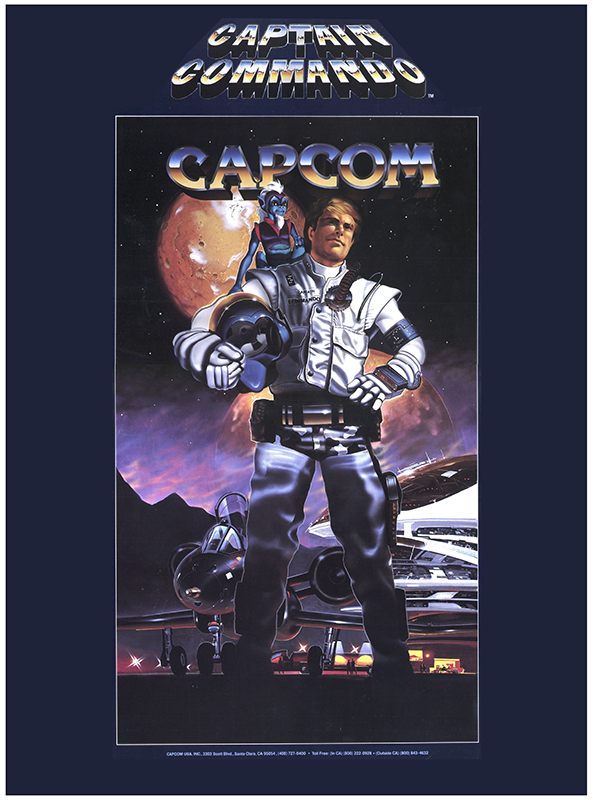 The similarity in the poses was purely coincidental, and I was aghast to see the terrible 'Captain Commando' lettering that Capcom stuck on to the top of their poster after I had slaved on the beautiful 'CAPCOM' logo in the art!! 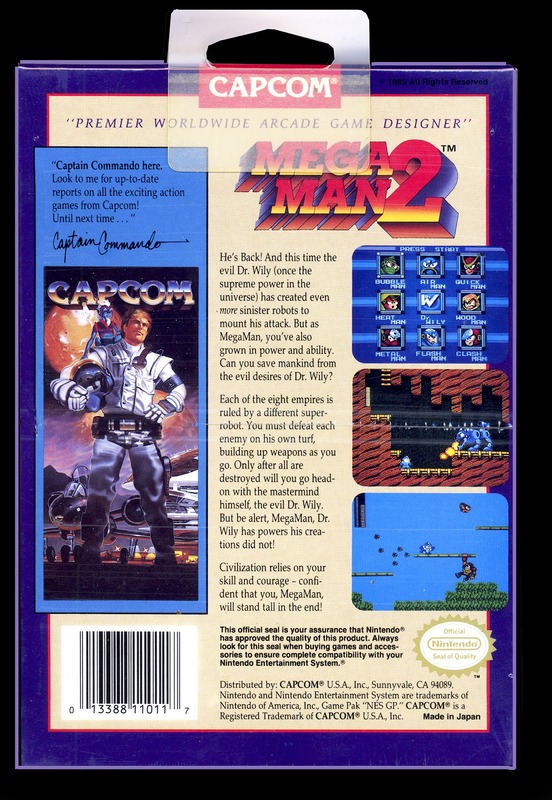 Below you can see another use for the Captain Commando image on my Mega Man 2 Box. WHY, WHY, Capcom, did you stick on that hideous top caption!??! Thanks so much for dropping by, and stay tuned for further Retrogameart adventures!